The body can heal itself. Like every other living thing, the human body thrives when in its original habitat; void of synthetic chemicals, processed foods, and unnatural lifestyle. The human body is constantly regenerating itself. All the cells in our body have a life span and new cells are continuously forming. The body is equipped with several mechanisms to maintain optimal function. When there is a disruption, the body creates a response to counter the threat. The more we deprive our body of its natural habitat, the more we weaken its life force. 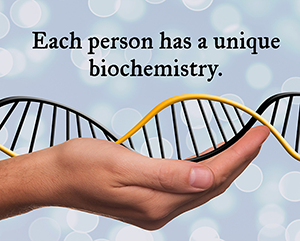 Each person has a unique biochemistry. Because our biological makeup is so specific to us, our nutritional needs, vitality, and expression of dysfunction is also unique. This is why two people can have a very similar diet and lifestyle, but one person is thin and somewhat healthful, while the other person is overweight and suffering from chronic disease. Even people expressing the same condition can have a different cause and will therefore need to address their specific underlying issues and not the condition itself. It is important to identify and work with the cause. If you address the cause of an illness or condition then all associated symptoms will improve. If you focus on addressing the symptom, but the cause still remains, there can only be temporary improvement, if any at all. The primary role of the doctor is to educate. The word “doctor” originates from the Greek word docēre, which means “to teach”. In natural medicine, a doctor should teach others how the body’s healing system works and what options they have to facilitate or enhance it through the natural healing arts, which include: hydrotherapy, aromatherapy, homeopathy, nutrition, kinesiology, acupuncture, chiropractic, reflexology, physical therapy and others. Recommendations given by a doctor should only enhance or facilitate the body’s natural healing ability, and not disrupt these processes or put the individual at unnecessary risk. Prevention is key. Although healing is almost always within reach, the healing process can be long and frustrating for many. As difficult as it may be psychologically for some people to make necessary lifestyle changes when they feel well, the physical challenge may be even greater once the body has already been weakened and restricted by illness. Chronic disease and poor quality of life does not have to be a part of anyone's life. One can take advantage of the tools they have today to ensure a better future. 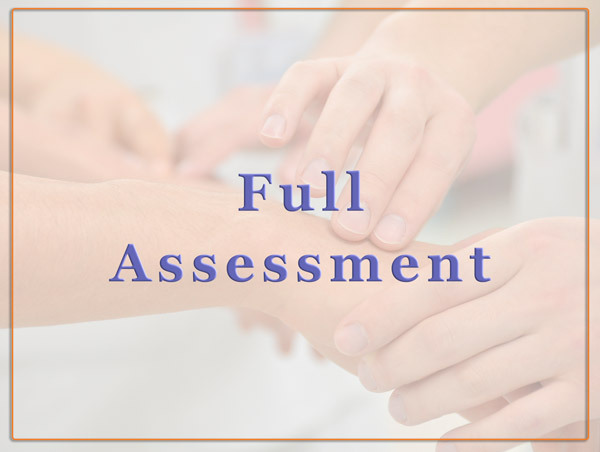 What does a Full Holistic Assessment include? Read more/less about this service. Weight loss can be a struggle for many people. There is so much conflicting information about which diet is best for weight loss. Many go from diet to diet only to become frustrated when they see no progress or only temporary results. Rarely are diets and lifestyle changes centered on what caused the person to gain weight in the first place. They usually involve rigorous exercise and low calorie diets that leave you hungry and miserable. In our wellness consultation we can look for the cause of your specific weight issue and address it accordingly. "An ounce of prevention is worth a pound of cure." - Benjamin Franklin. We can interpret other lab tests to determine your optimal versus normal results. By identifying the source (or sources) of stress and illness, we can focus our efforts on underlying problems, which in turn, may impact other areas of your well-being. 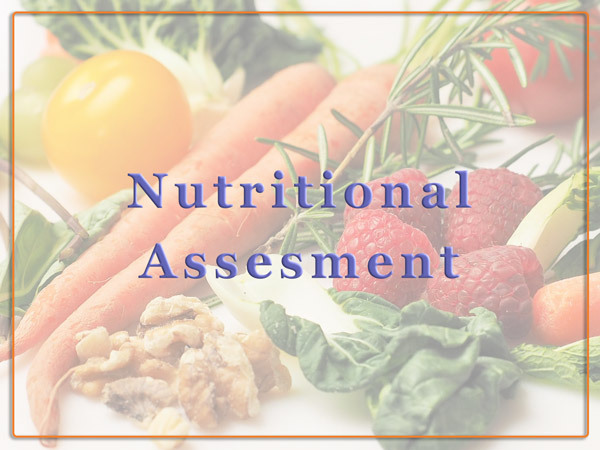 What does a Nutrition Assessment include? It is crucial to understand your individual body's needs, as well as its triggers. People have suffered from food sensitivities and intolerances unbeknownst to them, only to attempt diet changes with no results toward a healthier body, because they didn't eliminate what was toxic to them. This consultation evaluates your health history and your current diet, and creates a plan unique to your needs. 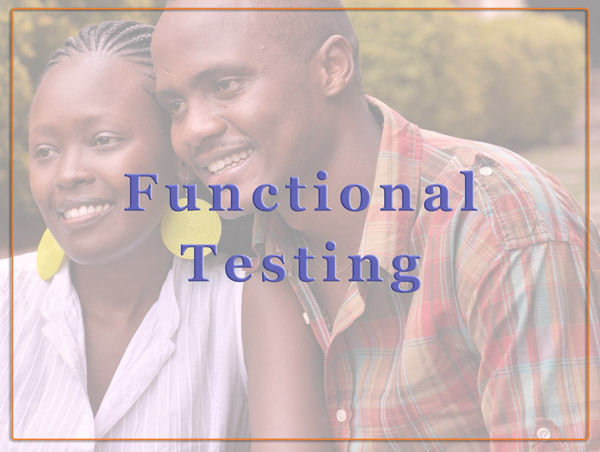 What does Functional Testing include? Read more/less about the types of tests we most often use. Metabolic Analysis Profile: This urine test evaluates four central areas of metabolism: gastrointestinal functional, cellular energy production, neurotransmitter processing, and amino acid balance. This test is recommended for everyone but especially for those with weight issues, fatigue, digestive issues, or anyone seeking dietary guidance. Comprehensive Adrenal Panel/Hormone Panels: These tests are recommended for anyone with Fatigue, mood swings, irregular or painful menstruation, salt cravings, Infertility and others. Comprehensive Nutritional Profile: This urine test is a functional assessment of vitamins, mineral, amino acids and cofactors. Food intolerances: This blood test checks for food sensitivities that can be an underlying cause of Migraines, Weight Issues, Acne, Chronic pain, Digestive issues and many other conditions. Comprehensive Stool Analysis: This test analyzes the overall health of your digestive tract and is recommended for anyone with: IBS, Crohn's , Colitis, Celiac Disease, Heartburn, Acid Reflux, or any unexplained gut issues. Heavy Metal Analysis: This is a hair analysis to reveal toxic element exposure. 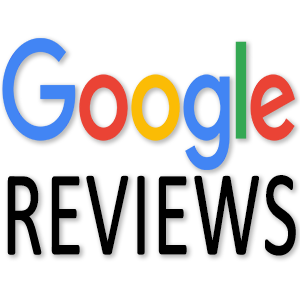 This is recommended for anyone with: Autism, ADHD, Thyroid conditions, autoimmune disease, Parkinson's, Alzheimer's, Cancer and any Psychiatric conditions. 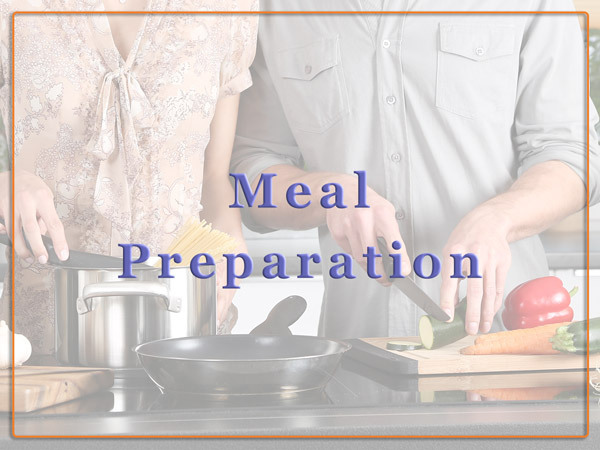 What does Meal Preparation include? This is for individuals who know they would like a more healthful diet but either don’t have or want to invest the time into preparing these meals. We can create a meal plan specific to your needs and have the meals prepared and ready for you to pick up. 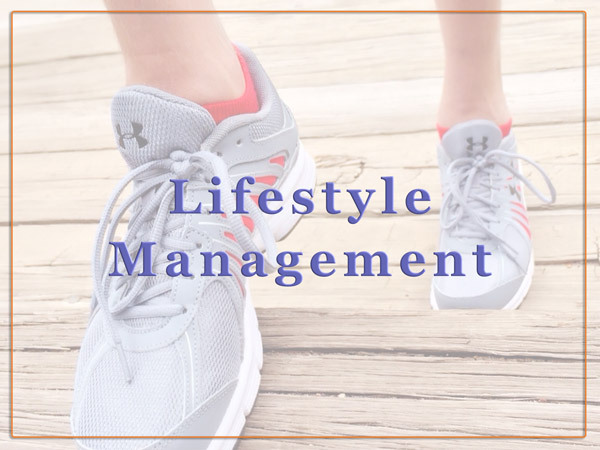 What does Lifestyle Management mean? Read more/less, including how we support you. Email or call with any questions: Every client is given my contact information for help after the consultation, which means that you can ask questions and receive help in between consultations. System of accountability: We follow up with you to see if you are having any difficulty working towards your goals. We want to assist you as much as possible in this process. Join our email list services: Lifestyle management assistance offers our clients information and resources on local health shopping, events, seminars... etc, that they may not be aware they have access to. Staying up to date with this type of information grants clients extra outlets to following through with recommendations given by the doctor between appointments. Resource Directory: We can give you information about where to purchase foods and supplements, what restaurants offer health conscious options if you’d like to eat out, etc. Referrals: If you need any additional help to reach your health goals, we can refer you to other specialists to provide you with the care you need. More: If there is anything else you need assistance with we will do our best to meet your need or find someone who can. 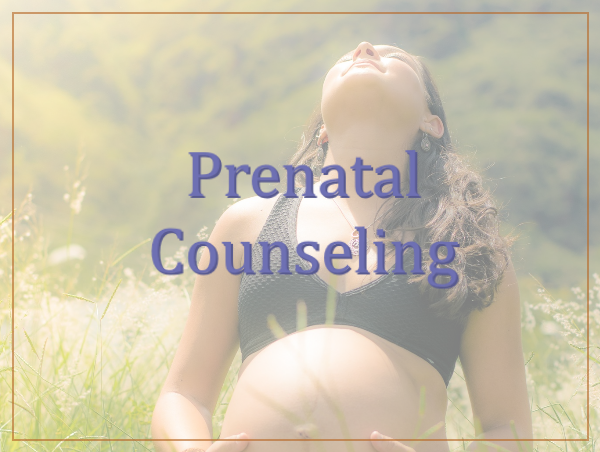 What is included in Prenatal Counseling? 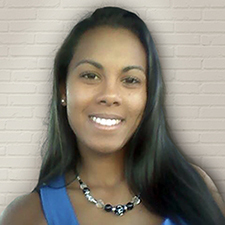 On November 2013, I was diagnosed with genital herpes and prescribed Valtrex for my outbreaks. I took Valtrex twice for my outbreaks and got seizures each time. After my last outbreak in November 2014, I decided to seek Dr. Mendez advice because I didn’t want to take Valtrex anymore. I have followed her supplement recommendations everyday and have not had an outbreak since. - Female 27, May 2016 .